Wow! With hype like that, the reality can only fall short! 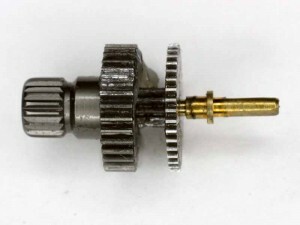 The size is 820mm diagonal between motor shafts (not 900mm as the model name suggests). The drive system (being Skywalker 40A ESC with BLHeli v11.0, Turnigy D3530-14 motors and 1145SF propellers worked very well, no issues with reliability, response and efficiency. This was my first experience with BLHeli, and it has been very positive. 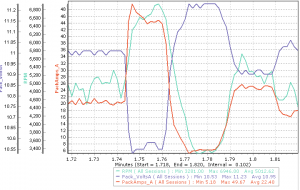 Tests were performed on 3S and 4S. 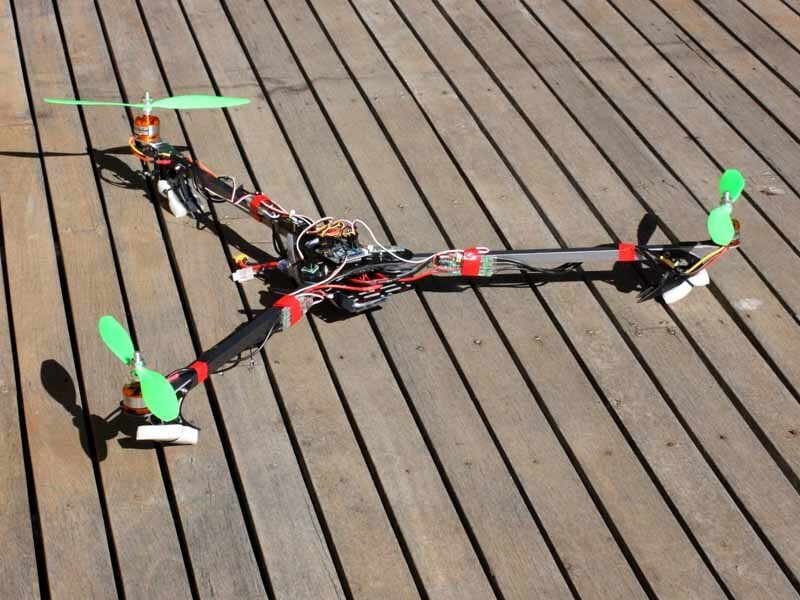 4S was over powered, though might be appropriate if the tricopter carried a payload such as a camera, larger battery etc. 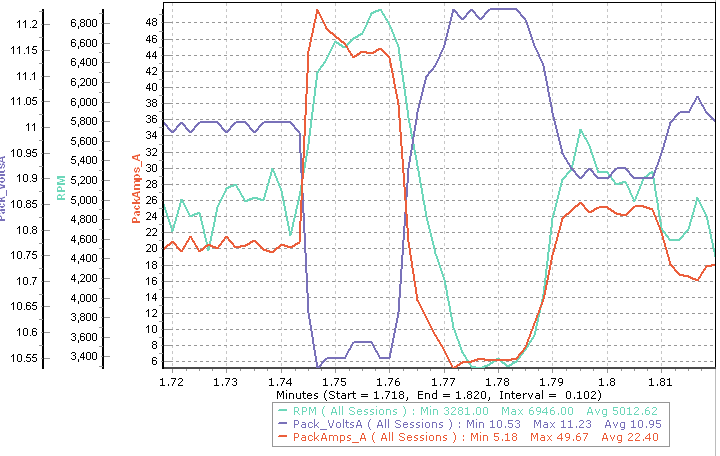 Above is a datalogger capture of some rapid acceleration and deceleration tests on 3S. A set of 1245SF propellers was tried, and considerable effort made to tune the PID loops, but it was prone to instability, probably related to the lower RPM at hover, and the total thrust available even on 3S. The Hextronic MultiWii 328P Flight Controller w/FTDI & DSM2 Port with Multiwii 2.3 performed well, as well as I have experienced on a range of quadcopters though notably, the altitude hold mode worked better, probably because the sensor is further from propeller blast. During construction, it became apparent that the shock absorbing landing mechanism was rubbish. 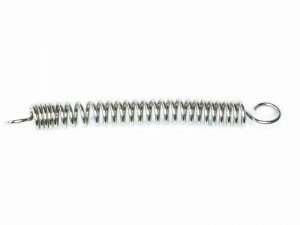 The springs straightened out when exercising the landing feed to less than their full extent, clearly not suitable for the task. 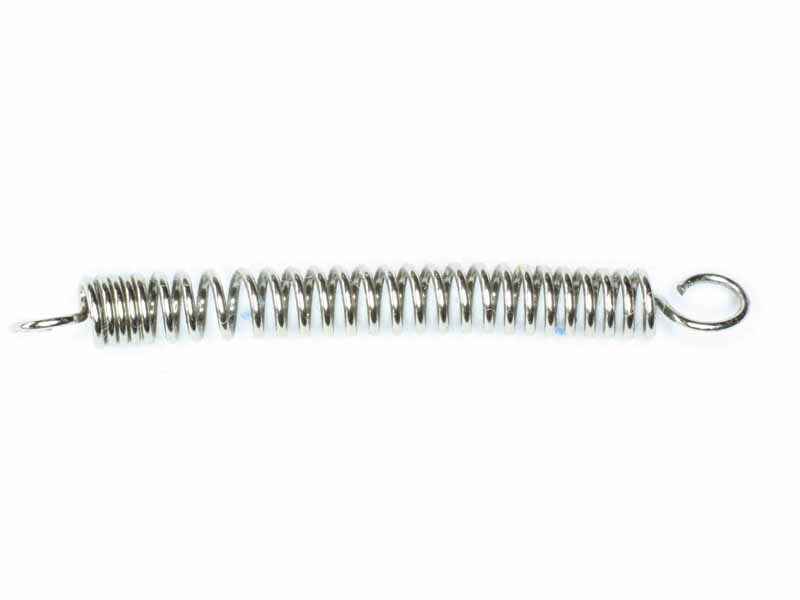 Additionally, the springs foul the nuts and thread of the screws that mount the motor brackets to the end of the tricopter arms. The springs were replaced with similar strength springs fixed under the inboard motor plate mounting nut so that they did not foul in extension. Because the landing legs are much like a pair of vertical blades, they push into soil rather than resisting the landing forces, hopeless! 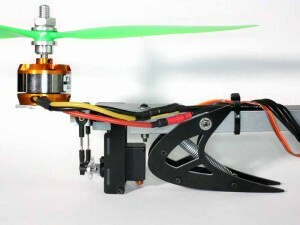 The tail mechanism supports the tail motor and the servo mechanism to tilt the motor for yaw control. Care must be taken to limit the servo travel so that it does not pop the ball end eyes off. The HK 922 servo recommended had a stiff spot in its travel from new, and that eventually jammed. Disassembly revealed a tooth on the final gear had broken / bent over to touch the adjacent tooth. 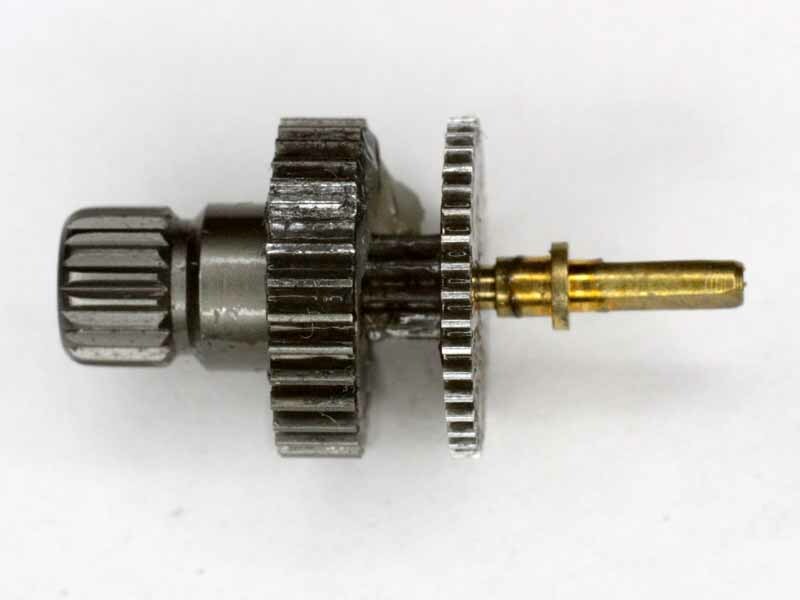 Above is the damaged gear from the original HK 922 servo. Above, a view of the tail mechanism from underneath. The double ball bearing pivot and associated mechanism looks like it will give precise control and quite a contrast to the common implementations with a wooden block pivoting on a wood screw. The original CF motor mount plate has been replaced with one fabricated from 2mm aluminium sheet as the original developed a hairline crack (no spare parts available). Though the tripcopter has not been crashed or even experienced heavy landings, the original mount plate cracked, the replacement plate has bent slightly. A replacement servo was used to replace the original faulty servo, but it was unstable and the motor mount would oscillate at some servo settings. 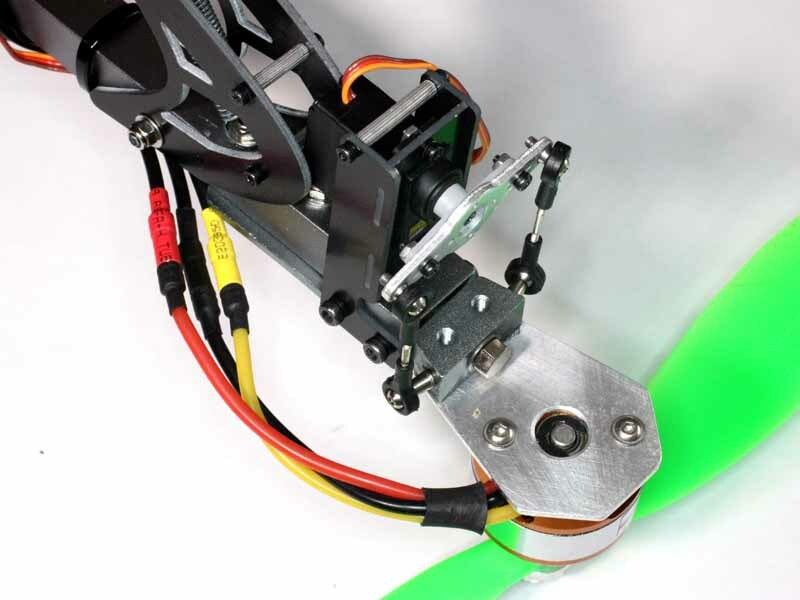 The servo bracket is the lowest point on the tail, so whilst the landing leg gives 5mm or so of clearance from ground to the servo bracket, as the landing leg compresses, the servo bracket takes the force of the landing. Of course, if the servo bracket is bumped, there is a risk of the servo links popping off sooner or later and loss of control. Using the throttle stick to arm/disarm is a disadvantage as the propeller is tilted over into the grass during those operations, use of a separate arm/disarm switch is advised. The motor mounting plates centre holes are too small to accommodate the circlip protruding outside the lower surface of the motors. 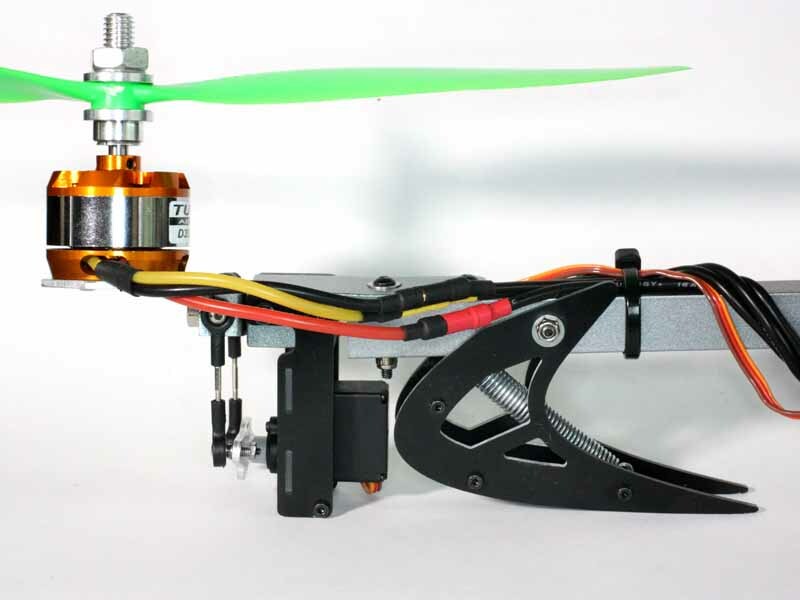 It would be easy to be influenced unduly by the stunningly poor Hobbyking X900 tricopter implementation, but the real purpose of the exercise was to explore that tricopter’s control system and this wrapup focuses on that. I have learned that the tail is the Achilles heel of the tricopter, it is a point of vulnerability that requires detailed inspection at every flight and is very prone to damage in normal service, much less heavy landings that you have to be prepared for with unpredictable wind gusts. Clearly, great care has to be taken in transport to not damage or disrupt the craft, especially the tail. Though when tuned, the platform was fairly well behaved, and docile compared to small quadcopters, I would be reluctant to put an expensive camera on this platform. Experiment is over, it will be dismantled for parts to be redeployed on other projects. 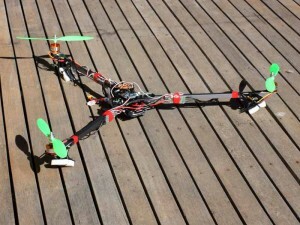 I cannot understand why tricopters are so popular!